"Church. I'm going to church." 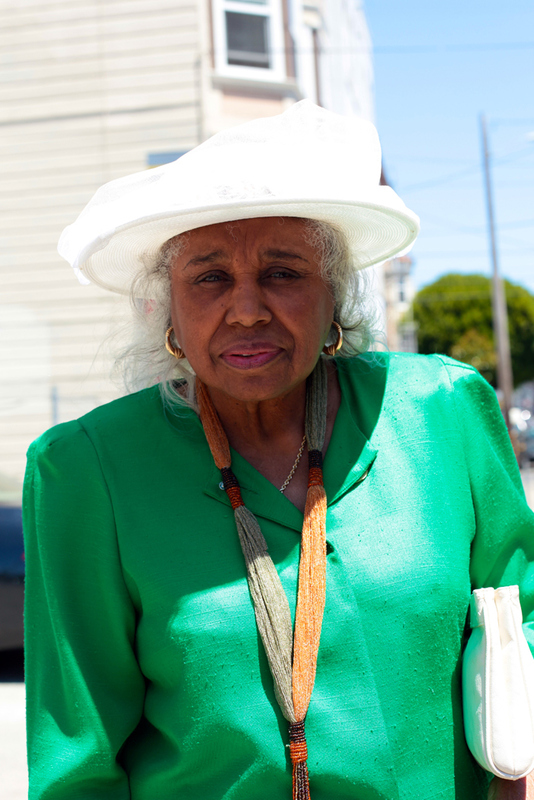 Felt so lucky to catch Mary in her jeweled colored green suit with that necklace (look at that necklace!). White pumps to match her hat. I want to be that stylish when I'm her age. 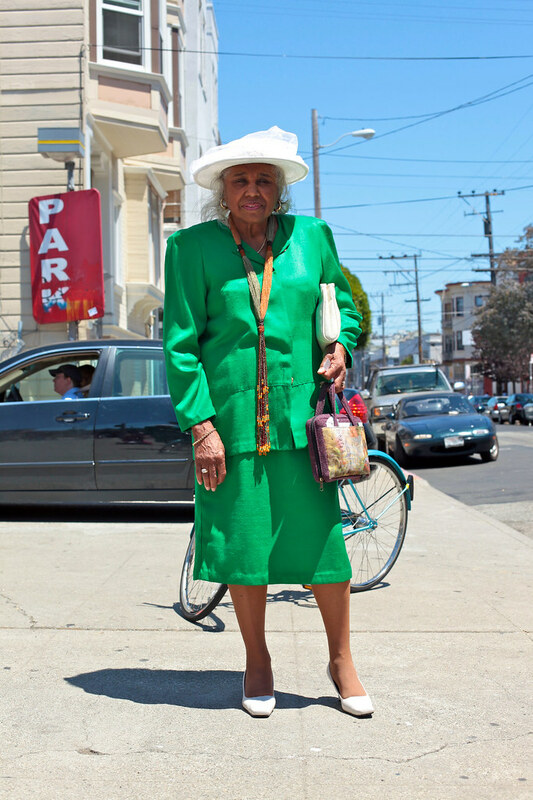 I wish everyone who at church dressed as stylishly as this lady. Hi, I wanted to e-mail you but couldnt find a contact us section anywhere on the site? @tajzal - leave your message and contact info as a comment, since I have to approve each comment, i'll get the message and contact you if need be. I knew she was on her way to church before I read your text. She looks fantastic! You GO, Miss Mary! She's fabulous!